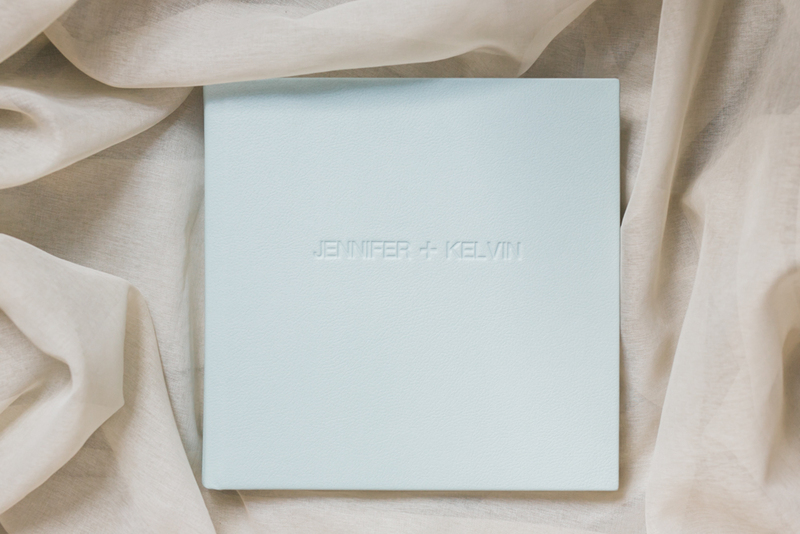 I love the colour that Jenn and Kelvin picked for their heirloom wedding album! 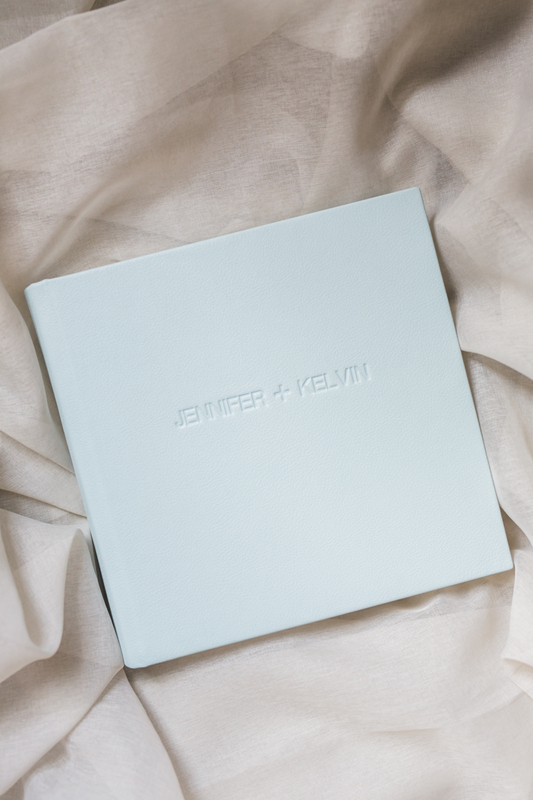 This powder blue is so unique and the leather is so so so soft! 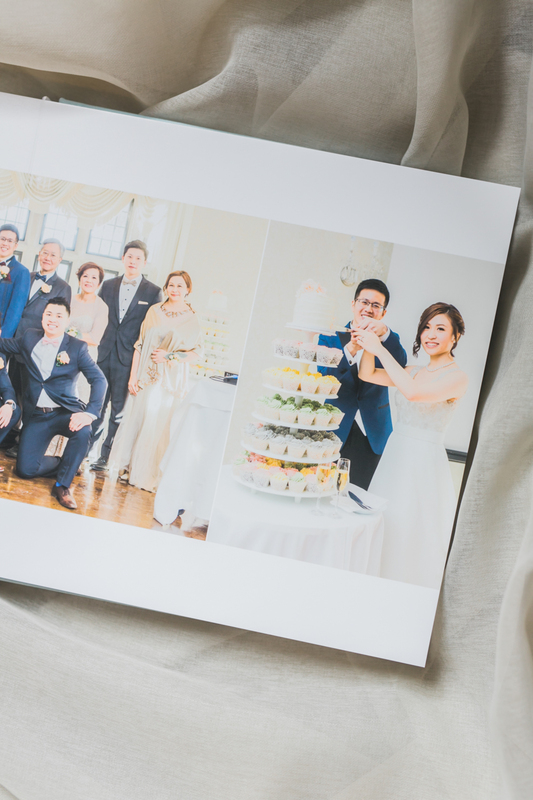 This is a 10×10″ wedding album that will be shared with their family, friends and their kids in the future! 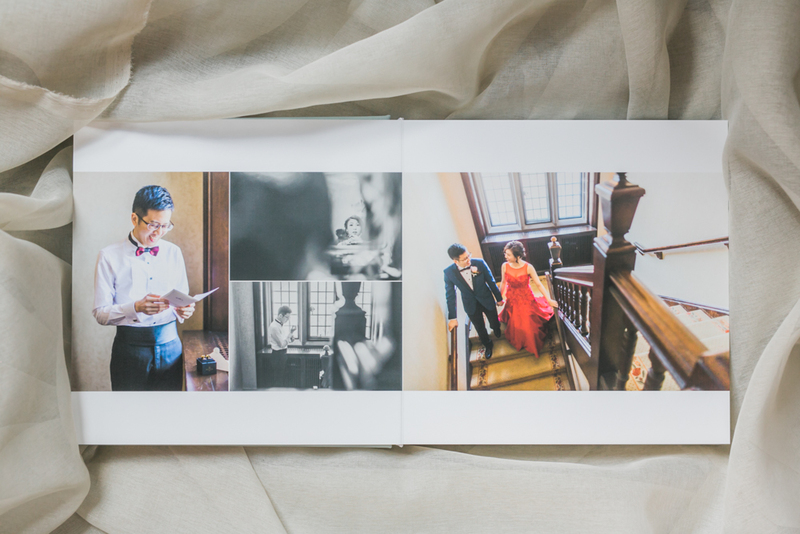 I love the thickness of the pages, there’s so much substance in this album! 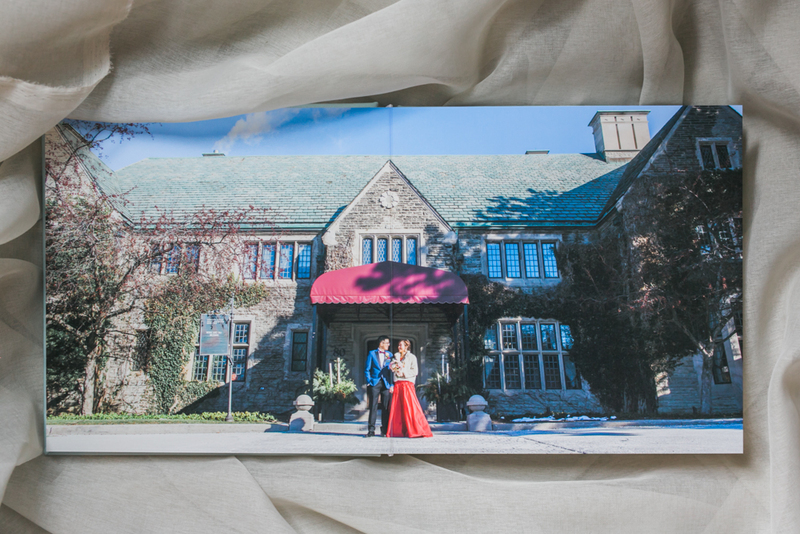 It’s definitely a piece of art! 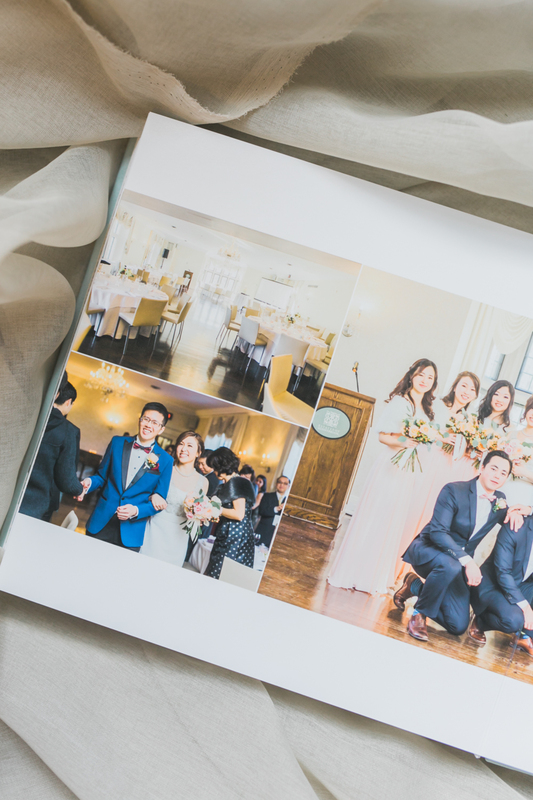 When we design our albums, we always ask our couples to select their fave images because I want to involve them in the process as much as possible. 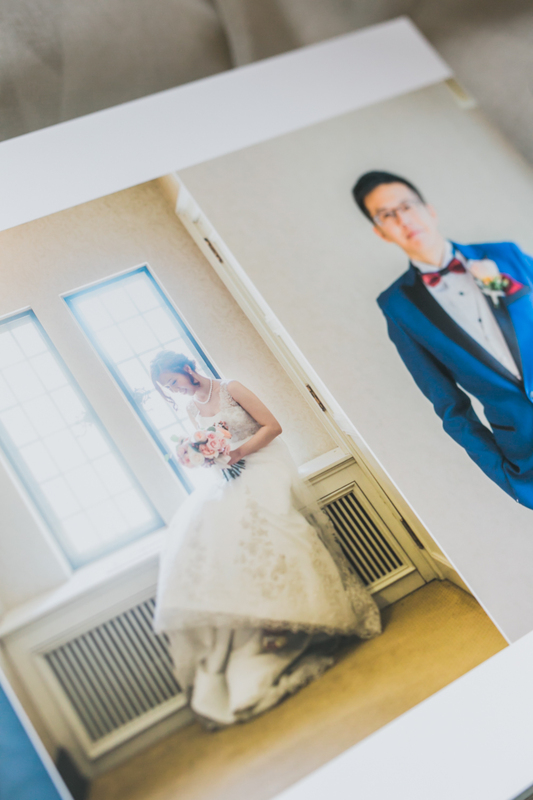 Once the images have been selected, I’ll put together a draft for the couple to review and we’ll make the necessary changes to perfect your design. 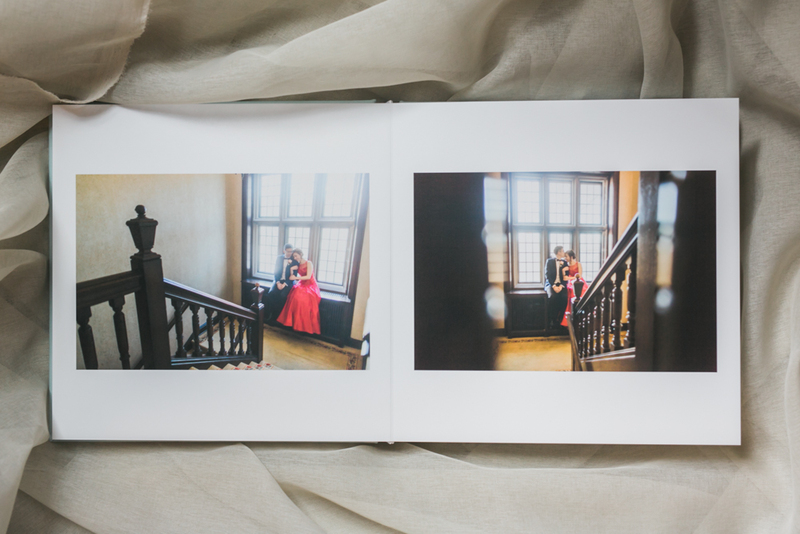 You get to select the cover colour and once everything is finalized, then it’s off to the printers!